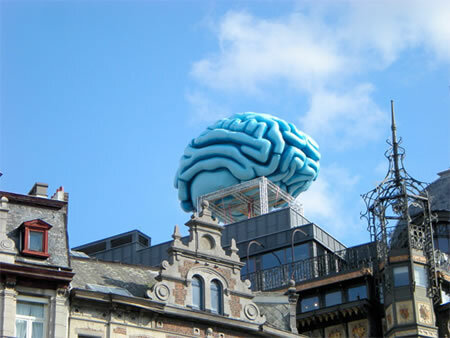 Attached are two pictures of a giant blue brain on the roof of an Art Nouveau building in Brussels. We have no idea why is it up there, maybe an advertising campaign. Some of our readers from Brussels can throw some light on it. Update – The Blue brain is the work of artists Chris Christoffels and Jose Roland and the structure is built to represent creativity. Thanks Oliver.